Looks, smooth and cool, those are the characteristics of the 'everyday' products from this award winning designer. He designs his products from his private studio in Amsterdam. The eye needs to be pleased as well! The Goods wine-rack Grape is a specially shaped designer wine-rack that can both stand upright and be hung. 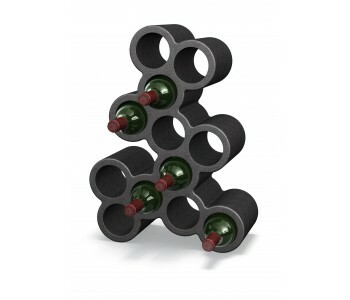 This beautiful, yet practical bottle rack is stackable and offers room to 12 bottles of wine or champagne. By connecting multiple Grape wine-racks by Goods, you can create your own wine-rack. 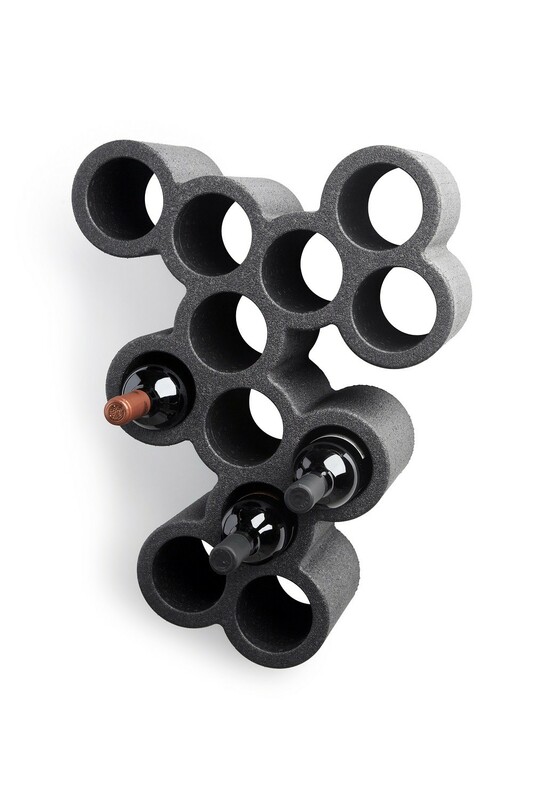 The Goods wine-rack by Goods is made of a light-weight, yet strong plastic. The Goods wine-rack Grape is a true eyecatcher. The particularly playful shape - based on a bunch of grapes - and the practical ingenuity of a stackable wine-rack make this design a true success. 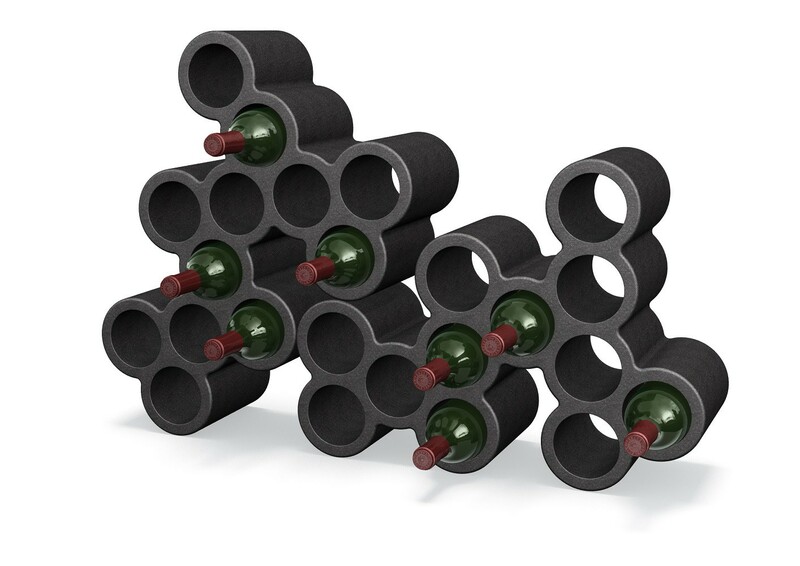 The Goods wine-rack by Goods is made of a light-weight, yet strong plastic. As a result, this bottle rack is both sustainable and solid. Through the use of an organic and gradual shape, designer Robert Bronwasser developed a wine-rack that can be used in several ways. For example, the Goods wine-rack Grape can be placed horizontally on the floor or vertically in a corner. But it can also be hung (using the included wall mount) or even extended. By connecting multiple Goods wine-racks or stacking them, you can create your own wine-rack. For once, you won’t be judged on just the wine bottles; instead, your good taste will show through with this designer wine-rack, in the kitchen or in a room! The Grape wine-rack by industrial designer Robert Bronwasser is characterized by a user-friendly and recognizable design with a clear function. Both its stackability and its suitability for various bottle sizes (up to a 9-centimeter diameter) are typical examples hereof. The black, light-weight Grape wine-racks offer room for 12 bottles, from wine to champagne. 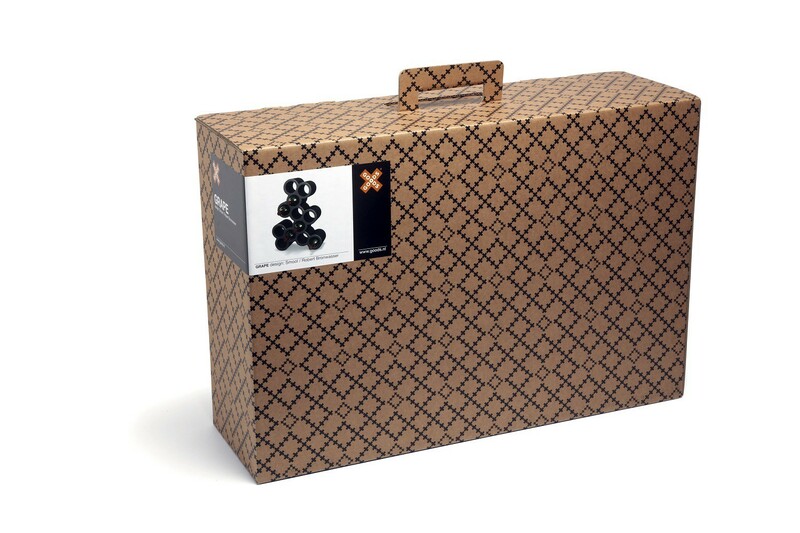 The Goods wine-rack Grape is delivered in a specially designed cardboard carrying case. 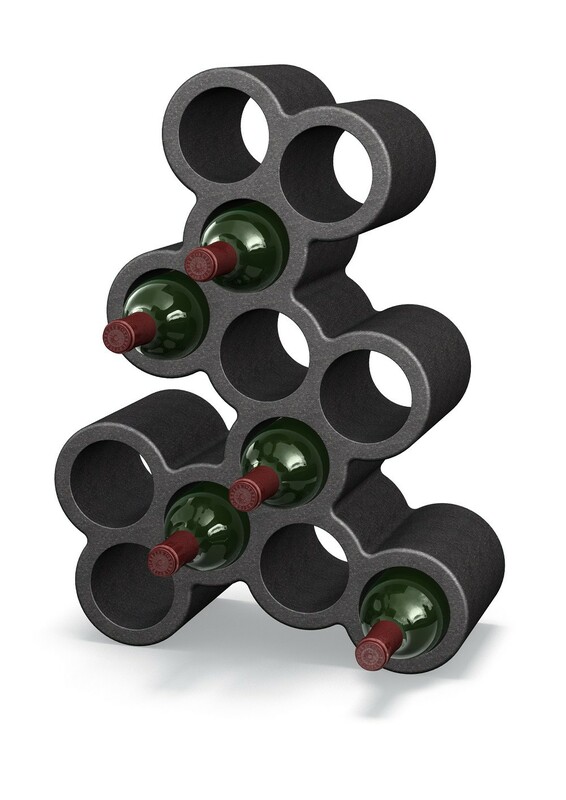 Forget the wine and gift this designer wine-rack… A unique present!